Be sure you are signed up to receive e-mail announcements from us and take advantage of sales and promotions throughout the year! These forms are not only perfect, but they are just exactly what I have been looking to find for years! They are just right. I like this so much better, utilizing software that I already have and am using, than having to buy a license to another software, struggling to learn how to use it, and still not coming up with something that is as concise, to the point, and as nice as this. Thank you very much! You’ve done a wonderful job on these! I followed Phil’s HIPAA Upgrade System exactly as he lays out to do so and in a couple of months, we had 40 of my 500+ clients send checks in for the update, which has generated about $20,000 of additional revenue for me and my firm. I had to hire an additional legal assistant to work on this project. We plan on sending out a second follow-up letter to generate additional revenue! It’s only been 2 weeks since we started marketing Phil’s HIPAA Amendment Package and we have already made $20,000 with 72 responses from only 417 letters sent out. We’ve got a lot more to send out too! We can’t thank Phil and his team for all of their hard work and help to allow us to make more money. We really appreciate all of the great advice and this product to help us service and monetize our existing client database! There is a growing trend to treat an inherited IRA as an asset of the bankruptcy estate, which is one more reason people should be using standalone IRA Trusts. 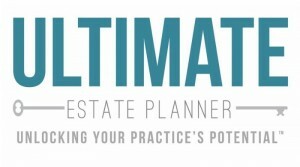 I think Phil has done a great service to the estate planning industry in developing the IRA Inheritance Trust® concept. It certainly deserves more promotion and credit than it receives! My business (and life, in general) is going quite well. Keep up the great work!